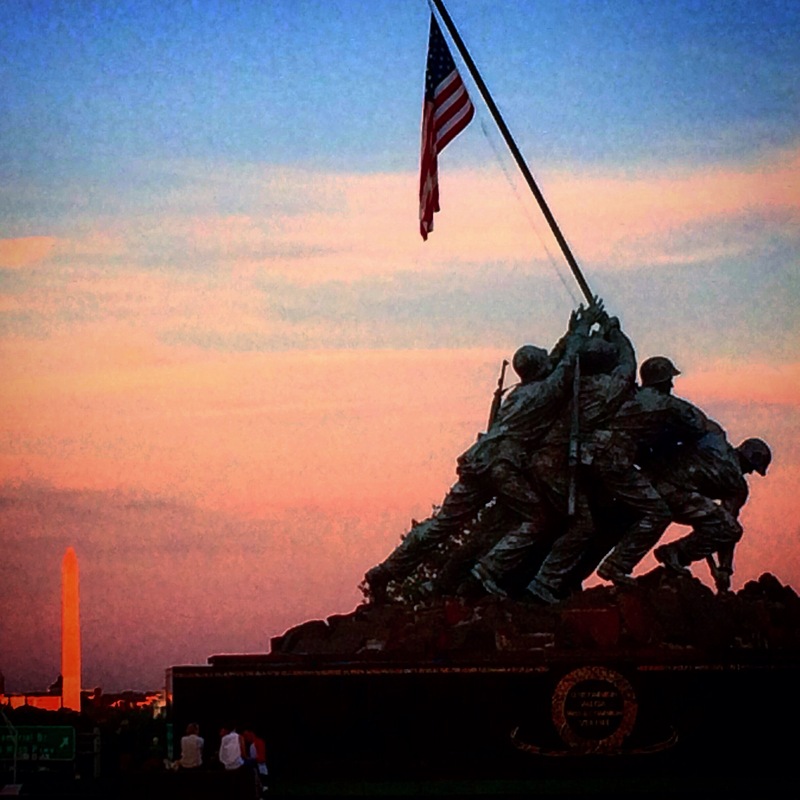 But there are sacrifices made that are not memorialized. Washington, DC doesn’t have a monument built for the families who face time away from their loved ones, lose sleep waiting for their loved one to call or because they are worried for them or just plain miss them sleeping soundly next to them, for the holidays and birthdays and anniversaries that are lost to the blue glow of computer screens and a crappy Internet connection. We don’t really know what it was like for women and children, back in the day, who held their breath waiting for the mailman to come with letters or who experienced minor cardiac episodes every time the doorbell rang. The countless care packages, the endless praying and hoping, the black X’s on calendars— we just want our men and women in uniform to come home safe, so all of those sacrifices are made to say thank you and we appreciate you and we love you. Unfortunately, we don’t always get to say “Welcome Home” to our heroes. I’ve never experienced the loss of a fallen hero and I won’t try to say that I know what that feels like, because I just don’t. There is no comparison that can or should be made. Usually, when something of that magnitude happens to someone, we are busy trying to sympathize with someone’s loss that we forget to ask how we can help them cope with it. The most powerful words in times of loss are often, “What do you need?” or “What can I do?” Taking the initiative to care for someone who has lost someone important is where we can be the most effective to them as they work through their loss. This is one of the biggest reasons why the Tragedy Assistance Program for Survivors (TAPS) exists, and it’s one of the reasons why I am representing them as I participate in the 2015 Marine Corps Marathon. 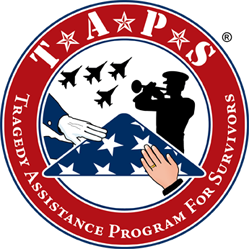 What is the Tragedy Assistance Program for Survivors (TAPS)? “Our mission is to provide ongoing peer-based emotional support to anyone who is grieving the death of someone who died while serving in the Armed Forces. We bring survivors together with others who have experienced a similar loss for comfort, healing, and hope. TAPS offers peer-based emotional support through an established peer mentoring network, online live chat programs, in-person care groups, and online support groups that are confidential. Survivors connect in-person with others through TAPS grief seminars and retreats for adults, and TAPS Good Grief Camps and Camp Outs for children. Many also find a way to honor and remember their loved one through our TAPS Run & Remember Team. How is TAPS funded? TAPS is funded by the generosity of the American public, which provides donations to support the organization’s work with grieving families. While TAPS has a close relationship with the military service branches, ongoing TAPS programs do not receive financial support from the government or the military. Experts tell us that it takes on average, 5-7 years for people who have experienced the traumatic death of a close loved one, to reach their “new normal.” Long-term emotional support, through the years, is very important for people who have experienced a traumatic death. In 2013, TAPS sadly welcomed 4,039 new people (11 per day) grieving the death of a loved one in military service to America. In 2013, the number of people turning to TAPS for help and support remains 37% above 2011 levels. Deaths in the military occur due to a variety of factors, including: combat, training accidents, homicides, suicides, sudden illnesses, toxic exposure, accidents, terrorist attacks and other causes of death. For this race, my fundraising goal is $600. No amount is too big or too small to give. You can make a donation on my webpage, or copy and paste this link into your browser http://teamtaps.org/goto/prairierunnergirl. Your giving helps TAPS provide compassionate care through resources, seminars, and publications to all those grieving the death of a loved one serving in our Armed Forces. TAPS provides these services free of charge to survivors of all branches of the service, including Reserves and National Guard, not only to immediate family but to extended family and friends. All contributions are tax-deductible. 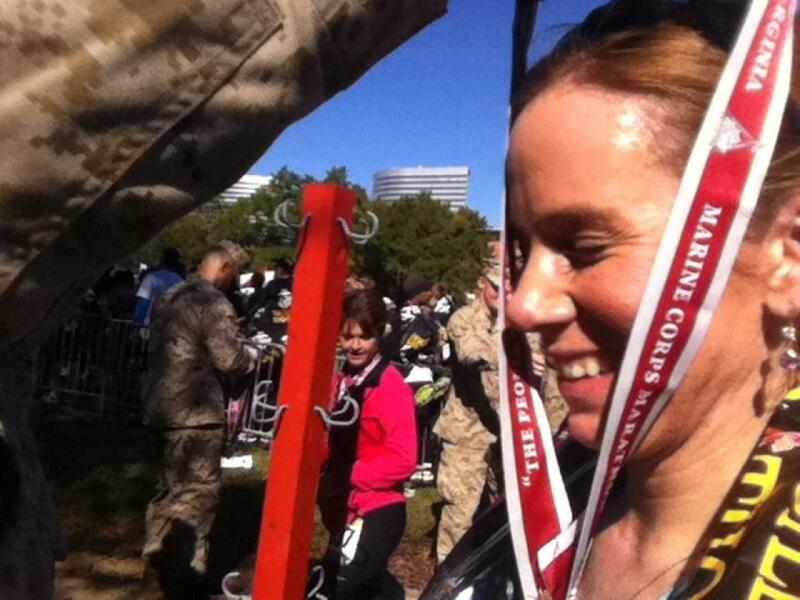 Being medaled by a Marine Corps 2nd Lt. after finishing the 36th annual Marine Corps Marathon in 2011. Just like our troops need our support when they are overseas, their family and friends need support if the worse-case scenario happens. Your generous contribution will help those left behind know that their sacrifices are not unnoticed. Thank you for your generosity, and be sure to keep following along for updates on my training and fundraising progress!